You'll need a more effective watering system to water your large garden? It's always difficult to find the right watering system, which is why LeakyPipe® helps you. As a leading provider of irrigation systems, we specifically designed automatic watering kits for large areas. 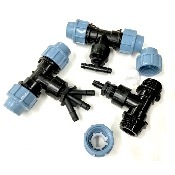 This range contains pipe, fittings and connectors that are available in large sizes. There is nothing worse than not having the right tools for the job. It can quickly make the task more complicated. 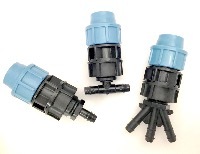 With LeakyPipe's garden watering systems you just need to pick the right pipe size and fittings. We all know how it can be unconvenient to water large areas. This is why LeakyPipe's watering systems are definitely easy to use, and will make you save time and money. 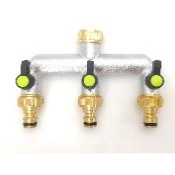 You'll find the ideal large garden irrigation system in this section, as it includes a 450m hedge watering kit, 450 leaky pipe porous hose and many other essential items. 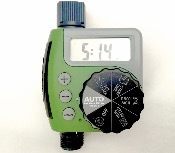 For instance, our automatic lawn sprinkler or our Tap Timer with 2 ouputs, are ideal to automate your irrigation system. Professional installations may need Compression Fittings and Pressure Reducing Valves & Filters that we propose at Leaky Pipe. We also have adapted automatic watering systems for smaller areas. Protect your investment in time and money on Plants. 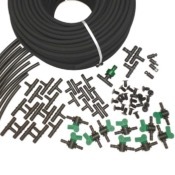 Get them Growing Fast with this Great Deal for 400metres of LeakyPipe® Porous Hose, Connections, SupplyPipe, & Timer with Pressure Regulators. A complete package to save plant life now! 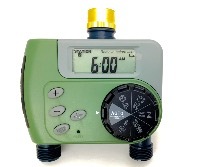 Versatile, Battery-powered timer for taps. Connects to one tap and has Two outputs, both individually programmable. 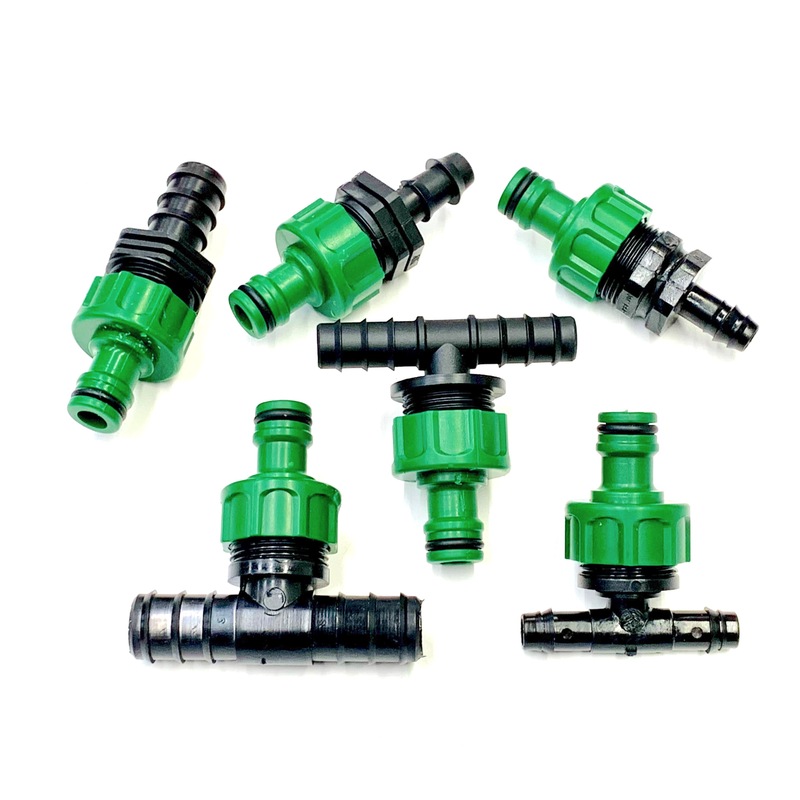 20mm Compression Fitting with connections for LeakyPipe® LP12 range. 20mm Compression Elbow to LeakyPipe connector. 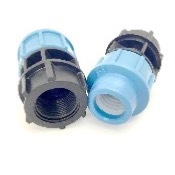 20mm Compression to 3/4" female Threaded Adaptor.